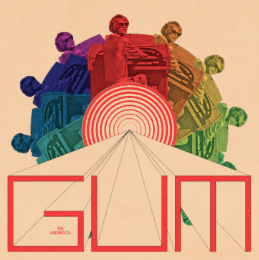 The fourth album from GUM is here and it’s a doozy. The Underdog is packed full of the biggest synthesiser sounds, the grooviest beats, and the hottest melodies we’ve heard from GUM so far. The artist has described The Underdog as “the soundtrack to a day in the life of GUM. Starting before going out at night, full of spirit and euphoria and feeling like it’s me against the world, before crashing and waking up riddled with anxiety and panic, only to build myself up to do it all again.” It seems almost rude not to experience “a day in the life of GUM” so what follows is an hour by hour break down of what I will feel as I insert myself into the life of Jay Watson for a day. 8pm - 'Introduction': Showering in psychedelic soaps before shaving with a technicolour razor, I'm getting ready for a huge night out. The collection of sounds and melodies from this first track feel like I'm dousing myself in the cologne/perfume of excitement, joy, and euphoria. 9pm - 'The Underdog': I kick open the front door as I strut into the city accompanied by the hot saxophone ripping sweet leads, announcing to the world that I am unstoppable and it’s my time to shine. The sweet, soothing synths flutter past me like the vibrant nightlife of the city as they lead me into the closest bar containing fuzzy, disjointed guitar riffs filling up the room towards the end of the song. I've reached my destination and it’s time to have a cheeky boog. 10pm - 'SIA': The spicy 16th note hi hat groove kicks in and I'm where I want to be. Diving right into it, a few drinks in, feelin’ good, havin’ a decent boog, getting lost in the swirling crowd of phaser-washed people talking to each other and to me, completely taking up my whole field of view. The psychedelic, delay riddled guitars indicate how quickly time is passing. I'm spending hours surrounded by this groovy wash of synths, drums, bass, and the ever repeating phrase “Say it again, but you won’t understand”. 3am - 'Seratonin': We’ve had a pretty good boog, but I'm slipping into that self-conscious mode where I can feel my anxiety coming back. All the fun is slowly drifting away and I have no choice but to just sit down and listen to the slower, relaxing wash of ‘Seratonin’. “Well I tried to see the sun up today, I guess I’m trying to make the pain go away”; partying isn’t going to help escape the feelings, and they’re catching up. This is where I see the album take a turn and it’s time for me to try and get through the rest of the night. 4am - 'After All (From The Sun)': Accepting life as it is, remembering the bad things that go along with the good and just needing to take a break. Let’s just listen to the beautiful melody in the verse, sung by GUM and accompanied by the chiptune synth before we get hit with the huge guitars in the chorus and start to feel tiny sparks of fun fly through my head, hoping it’ll actually stay okay for a bit. 5am - 'Rehearsed in A Dream': “Can I ask for a different brain? One that isn’t quite the same.” Self reflection has come out and is attacking my happiness as I hear these brutally honest lyrics. I've made it home, but the chorus soaked guitars and haunting lyrics are hitting hard. They create such a deep feeling of despair and gloom that I feel connected to this track in this darkest hour. 1pm - 'Couldn’t See Past My Ego': The barebones acoustic guitar with the relatively dry vocals at the start of the track resemble new beginnings as I slowly wake up. I am turning that self reflection into something positive instead of something negative, am ready to push on with the day and spend the afternoon rebuilding so I'm not a total mess for tonight. 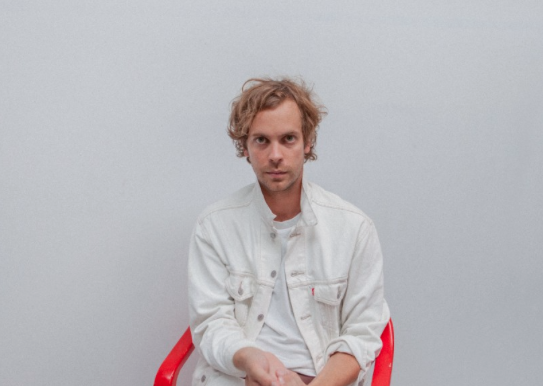 The bridge blends a mix of Tame Impala and Unknown Mortal Orchestra with the unified melody between vocals and bass, while the pads beneath create a feeling of support as if I know everything will be okay. 6pm - 'The Blue Marble': This song is the meaty process of rebuilding. Self reflection has hit its peak and this involves working through everything while throwing clothes on and getting pumped for the day ahead. Ending in the huge synth jam I can feel the euphoria slowly building up again and kicking me for even worrying about anything. 7pm - 'Trying My Best': This is the final stage. I'm getting there but just need one more push from the early album groove of the drums. The slow swirl of the wall of sound amounts to a feeling of pensive self awareness that leads into the phat arpeggios throwing nothing but excitement and energy at me before leading into the infectious, early album groove of 'The Fear' that we’ve been craving. 8pm - 'The Fear': Yeah last night was rough, yeah it was a huge day of self reflection and moping around, but I stopped off at the closest petrol station and filled up the tank with nothing but euphoria and joy. The huge synth bass lines with the pumping kick drum really cement the feeling of readiness into us and the return of the saxophone from the title track symbolises that I have come full circle and am nothing but ready to go back out strutting around into the night. The Underdog has proven itself to be one of GUM’s most solid releases with a strong feeling of uniformity as all the songs lead into each other like a million rivers leading into the ocean, creating one big cohesive album that delivers a huge array of feelings and emotions. The Underdog is set for release on Friday 6th April. You can preorder the album here.